The A List: Ashton Kutcher: "King" of Social Media? 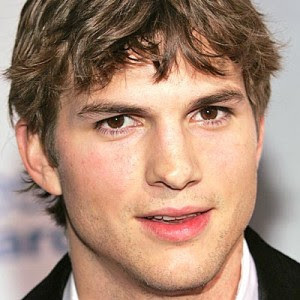 Ashton Kutcher has developed a new social media venture, Katalyst Media. Better known for his May-December romance with wife Demi Moore than any of his acting roles, Mr. Moore (ha) has decided to step out from his wife's (enhanced) shadow. Could it be that Mr. Twitter (i.e. the first person on Twitter to reach 1 million followers) has finally grown tired of restricting himself to 140-characters? Kutcher showcased two of Katalyst's recent projects at the Mixx conference. First up was a user-contributed video for Kellogg that focuses on the cereal giant's philanthropic work (and "coincidentally" directed by his December, Demi). The second venture introduced was an episode of his in-house series advertising Nestle's Hot Pockets, KatalystHQ. In his Mixx address, Kutcher announced that Katalyst is a studio and will not be replacing ad agencies (thank god). He stressed that the company is a social media studio. For those interested in finding the next new Twitter, look no farther than Katalyst. As Kutcher remarked when asked the question, he responded, "...Hire Katalyst, and I'll let you know." Will Kutcher's new venture prove successful? Only time will tell. Instagram is comparatively new to the social media marketing scene. However, it's relished exponential advancement since it was created in late 2010. weblink In contrast to most other social networks nevertheless, Instagram focuses on photo sharing, with quite a few options that enable buyers to use filters to images prior to sharing them on other social networks.